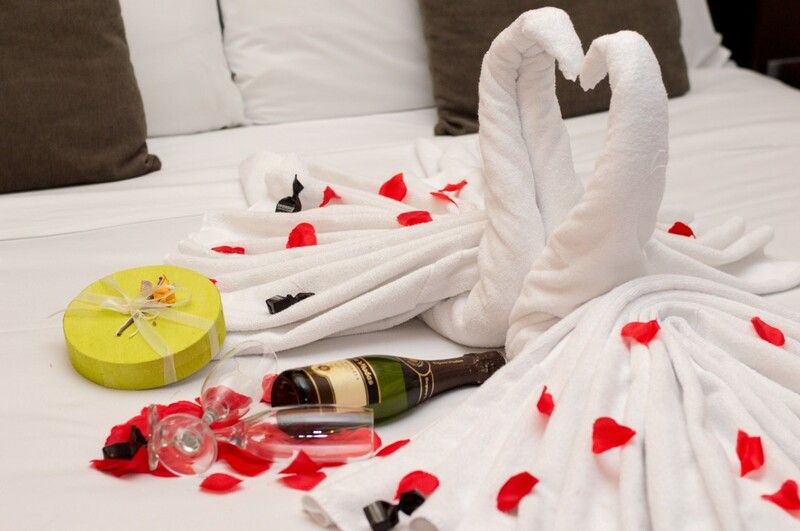 Saint Valentine is around the corner and we wonder if you already know what to do or how to surprise your partner. If you don’t have any plans yet, we are pleased to inform you about our special offer in Madanis. If you live in Barcelona, you can stay one night out of home with your partner. One of our advices of last week was that you have to break the routine and the best way to do it is enjoying one night special in our hotel, in a double room, with cava and chocolates in the room and a romantic dinner in our restaurant. If you have already been to Barcelona, we are sure that there are a lot of things that you haven’t discovered yet. Coming back with your partner to this wonderful city in such a romantic date as Saint Valentine, ¿why not? If you have never been to Barcelona, don’t wait any longer! Impress your partner with a romantic getaway to the Catalan capital. Change the flowers for an unforgettable trip. We will put the cava and chocolates for you, to make your stay outstanding. If you want to make a reservation, visit our website: www.hotelmadanis.com where you can find this specific offer or send us an email to reservas@hotelmadanis.com, where we will answer all your doubts and special requests, in order to offer you a perfect stay with us in Madanis. Do you have any romantic proposal or suggestion? We would love to know it. You can share it with us leaving a comment in this post.